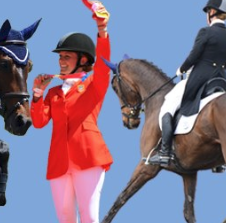 Travel Tips from Equestrianista designer- Rebecca Smith of Rebecca Ray Designs! Rebecca describes Rebecca Ray Designs as a company that appeals to everyone. Throughout her life, she has shown world class horses & dogs and it shows in her designs. She gets all the details right! It only seems fitting that as the business grows, Rebecca has included family and friends that are all well-versed in the horse and dog community. From the Amish harness makers who hand-make her leather products to the sales team who ride and show world-class horses, a large team of authentic animal enthusiasts and experts work side by side to develop this beautiful product. 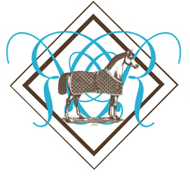 Today, through the use of authentic equestrian hardware, responsibly tanned leather, traditional handwork, and the finest quality fabrics, Rebecca Ray Designs reflects the spirit of the Sporting Lifestyle: nostalgic, modern and timeless. Uniquely American. Untamed Spirit. Unharnessed American Couture. Travel Tips from Rebecca Smith, of Rebecca Ray Designs! What does she wear traveling? What does she use as her carry on? Rebecca’s travel outfit is classic, professional, and comfortable. Rebecca says she’s kind of boring when traveling with her outfit choices. 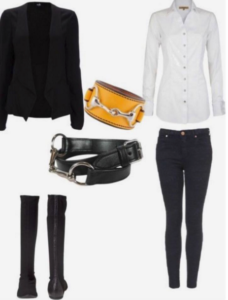 She sticks to a good pair of jeans, a button down shirt, always her bit belt, a black blazer, Donald Pliner boots, and one of her cuff bracelets. She admits, she’s a black clothes person. 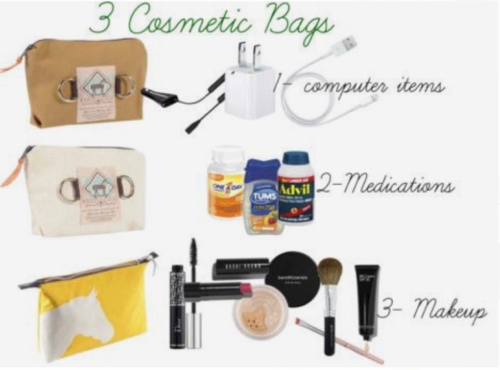 Rebecca’s Travel Tips- Carry on bags…. Rebecca chooses The Maryann bag as her go to carry on bag. She can fit a variety of things into it. She packs a pair of clothes and 3 cosmetic bags that carry various items. 1 bag will carry all her computer plugs, phone charger, etc… 2 bag will carry any medications or first aid items. 3 bag will carry makeup. I know you’re dying to know. 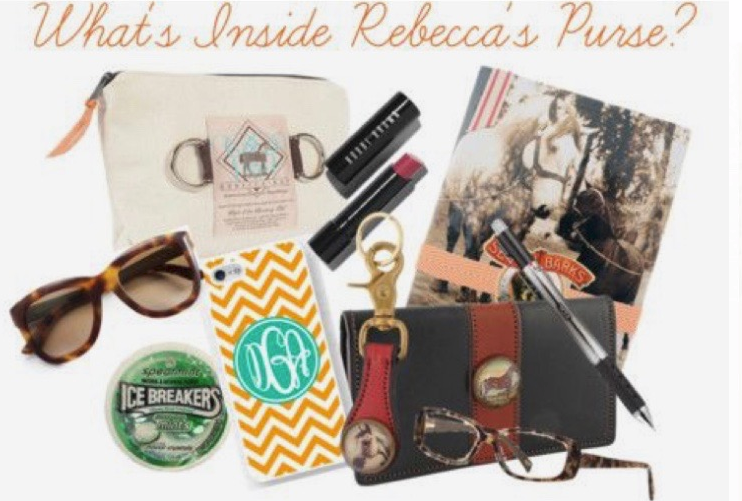 What is in Rebecca Smith’s purse? “Hmmmm…. , she says. Let’s see….”, as she rummages around in her Christy bag. ” I don’t need these anymore!”, as Rebecca refers to the Rolex 3-Day admission tickets and the Kentucky Reining Cup tickets. Rebecca was very detailed as to what exactly is found in her bag! – TUL black ink pens- She loves them! 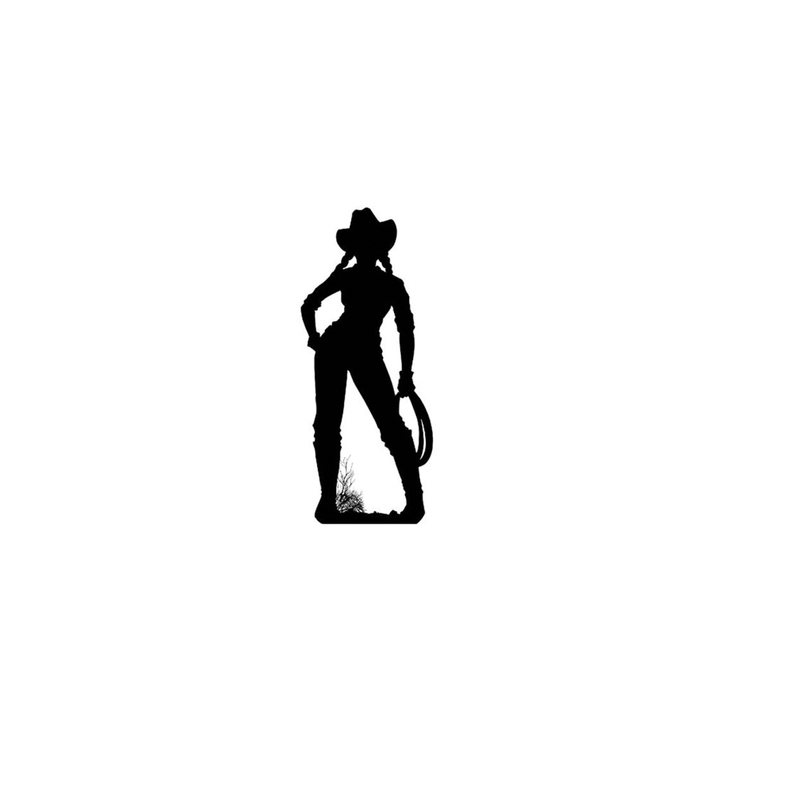 Click below to check out her newly done website!